Hoop Dance & Circus Arts Classes, Private Lessons, Workshops, Parties, Events, & Performances. Hoop Dance or “Hooping” is an emerging form of dance that involves hula hooping on more than just the waist. Hoop dancers can spin hoop(s) on their arms, neck, shoulders, and even on their legs! Professional hoop dancers can be found performing with circus troupes and at dance clubs, casinos, live music shows, festivals and special events. You can also find hoopers performing casually at local fairs, parties, and fundraisers. Hoop dance is also fitness disguised as fun! A study by the American Council on Exercise found that a thirty-minute hooping workout burns around 200 calories! Dancing with a hula hoop is a low-impact & effective cardiovascular activity that also helps to build core strength, coordination, focus, body awareness, flexibility, grace, confidence, and creativity. In recent years hooping has become popularized not only as a recognized performance art, but also as an effective workout regimen. Hoop Dance is now regarded as an alternative fitness option alongside popular activities like kickboxing, breakdancing, Bollywood dancing, and belly dancing. Pilates and Yoga studios are also known to sometimes offer Hoop Dance classes in addition to their regular classes, as all of these disciplines help to build strength, balance, and flexibility. Try a hoop dance class today and see for yourself! Jessie is a lifelong artist, athlete & fitness enthusiast who has a professional background working at various companies doing all things creative. 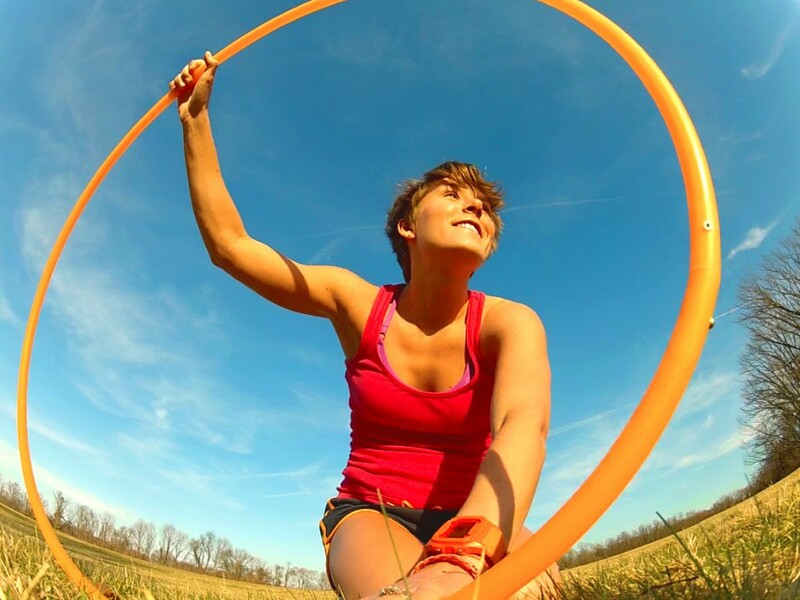 Jessie has been hoop dancing since 2010 and has several hoop dance videos featured on www.hooping.org. She also teaches/performs other circus and aerial art forms (since 2015) including poi, poi flags, circus manipulations & balance props, aerial silks, aerial rope, etc. She has experience teaching students of all ages… kids, teens, and adults! Jessie has also performed and/or taught at many different style events such as: formal and casual receptions, parties, festivals, stage shows, kids camps, after school programs, charity events, and weddings. Jessie continues to expand her knowledge & training in circus arts each year by enrolling in various circus arts classes, seminars, workshops, and camps. She applies techniques learned from professional instructors and established circus programs + other creative movement, dance, and fitness resources to her teaching methods to create inclusive and fun activities for all ages.